To grow and look their best, Encore Azaleas can benefit from fertilization and water (if and when needed). A little good advice goes a long way so read on to find helpful Encore Azalea feeding and watering tips. 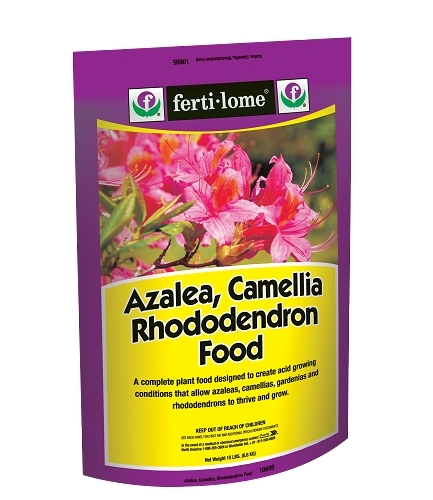 Fertilize Encore Azaleas when they start to bloom in spring with an azalea, camellia and rhododendron food or a slow-release shrub & tree food that contains sulfur and/or iron. 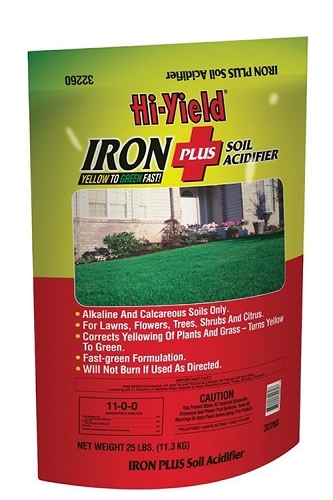 Alternatively, you can feed with a natural or organic plant food, preferably one that contains iron. Follow application instructions on the product label. Note: To avoid injury to tender new growth stimulated by fertilization, cease feeding Encore Azaleas two months prior to the first frost date in your area. As with all other azaleas, the Encore Azaleas are acid-loving plants that grow best in an acid soil ranging from 5.0 to 6.5 on the pH scale. 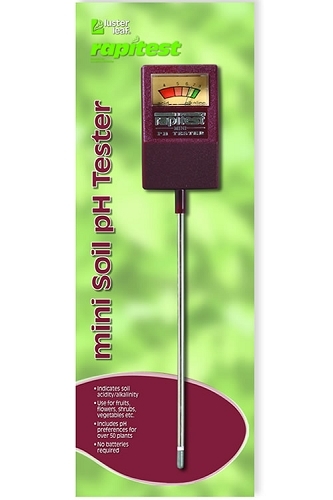 Most average garden soils range between 6.0 to 7.0 on the pH scale. Soil pH is a measurement of the alkalinity or acidity of soil and is measured on a scale of 1-14, with 7 as the neutral mark. 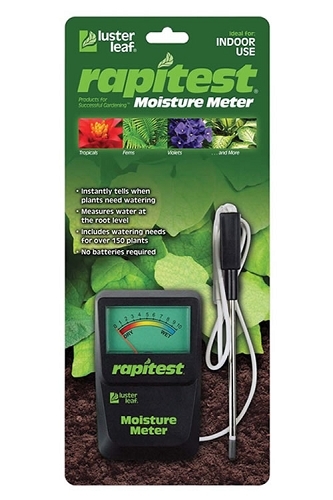 Any measurement below 7 indicates acid soil conditions, and anything above 7 indicates alkaline. If you're unsure about the pH of your soil, and whether or not it's suitable for growing Encore Azaleas, it's a good idea to test the soil pH in the planting area. In spring, apply a 1 to 2" layer of aged/cured, shredded or chipped wood mulch or pine straw around the planting area to conserve moisture and to suppress weed growth. Most bagged wood mulches should be fine. As the mulch decomposes it will add vital nutrients to the soil that your azaleas will appreciate. Important Note: Avoid mulching in fall because it can keep soil temperatures warmer and delay dormancy. Also avoid the use of freshly chipped or shredded wood for mulch until it has cured in a pile for at least 6 months, a year is better. Avoid placing or piling mulch directly against the base of your plant as this could cause the bark to rot. Helpful Tip: Encore Azaleas produce new flower buds on new growth. Pruning immediately after the spring bloom cycle stimulates new growth and, consequently, new flower buds, which bloom in late summer and/or fall. Because they do not like constantly soggy or wet soil, avoid overwatering Encore Azaleas or planting them in a poorly drained soil that stays constantly soggy or wet. Well-drained soil is a must! Immediately after planting your Encore Azaleas deep soak the soil in the planting area, including the rootball, to a depth equal to the height of the root ball. For an extra boost, to stimulate early root formation and stronger root development you can water you newly planted Encore Azaleas with a solution of Root Stimulator, which reduces transplant shock and promotes greener, more vigorous plants. 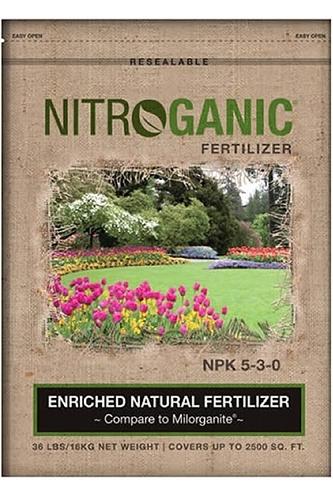 When planted during the winter dormant season plants will require less water. So, be extra careful not to overwater during winter! 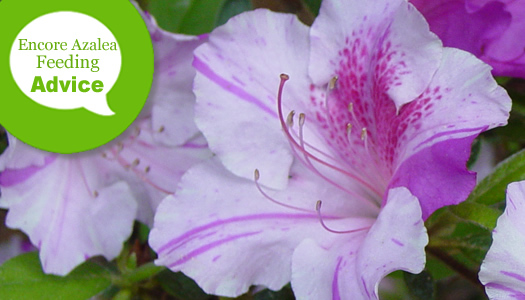 In average garden soil you should not have to water your newly planted Encore Azaleas every day. 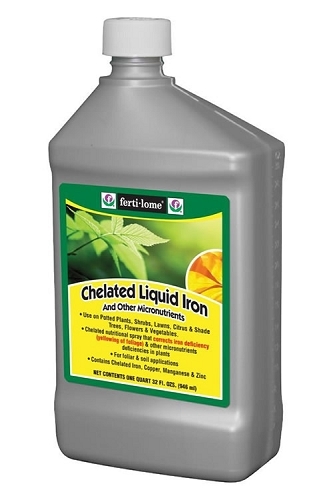 More often than not, this causes soggy soil conditions that can lead to root rot and other harmful plant diseases. In the absence of sufficient rainfall, water only as needed to keep the rootball and surrounding soil damp to moist. Keep in mind that deep soaking less frequently is much better than splashing just a little water on the plants every day. Encore Azaleas planted during the winter dormant season, when the plant is not growing and moisture is not evaporating from the soil as quickly, will require much less water. When established, Encore Azaleas are quite drought tolerant. That being said, if you see new leaves wilting or tips of stems bending over during a drought this could be a sign that your azaleas could use a good deep soaking. 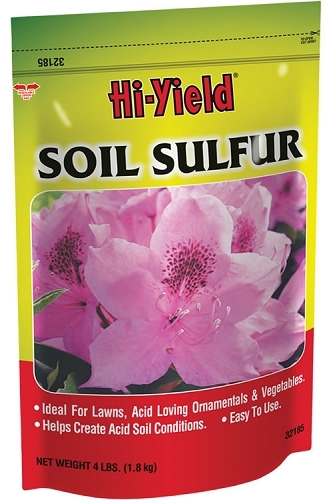 Encore Azaleas growing in containers will require closer attention to soil moisture. 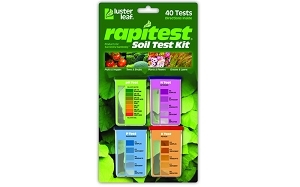 Use the finger test to check soil moisture regularly and only provide water if the top inch or two of the soil is somewhat dry to dry. During cooler months, plants will not require nearly as much water.